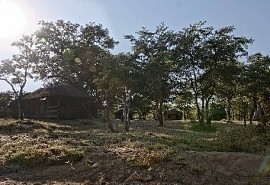 Umlani Bushcamp is a classic African safari camp located in the Timbavati Game Reserve, which forms part of the Greater Kruger National Park. 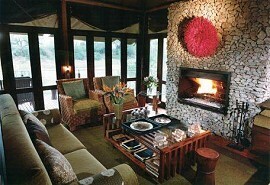 This authentic bush camp is the ultimate experience of true wilderness. Umlani's philosophy of simplistic luxury and 'getting back to nature' is enhanced by the romance of operating the camp without electricity. 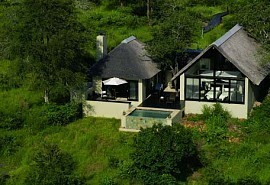 Umlani Bushcamp offers an unforgettable wildlife experience in Big Five territory. Guests can view lion, leopard, elephant, buffalo and rhino, in over 10 000 hectares (24 000 acres) of traversing area, also home to over 40 mammal species and 350 bird species. Activities included are game drives in open Land Rovers, guided bush walks and tracking game on foot with highly experienced rangers and trackers. Umlani is renowned for their outstanding Shangaan rangers and trackers, who will share their wealth of knowledge on the flora, fauna, bird life and cultural heritage of the region. 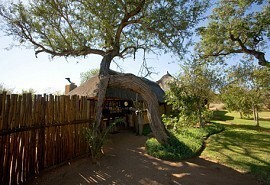 Two game drives per day are offered. 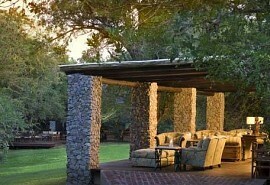 The morning game drive will leave at dawn and the night drive will leave in the late afternoon. There is always a ranger on stand-by for an optional morning bush walk. During the day guests can go on short walks with the ranger after breakfast.